Happy New Year to all our customers. We have been busy leading up to Christmas. Our new Marine System is now fully stocked and up and running. Our Invert System and Coral Bay have all been updated too. Another new addition is our 800Litre Malawi set up. Hope to see you soon. To celebrate our 1st year of business we are having a 10% OFF everything day on the 14th of October. Just to say a big thank you to all our customers for their support. Special offer for Good Friday only all Aquariums have 10% off. In the next couple of weeks we will have a new invert system up and running where our Live Rock, Clean up crew and anemones will be held. This should give us more space to hold more fish. Hooray! So this is why we're currently running lower than normal stocks at the moment. We should be all set up and stocked back up again in a couple of weeks. Ever wanted to set up a Marine Tank? New to the hobby and confused by all the conflicting advise on the internet? Do you have a problem with an existing tank? Then this could be for you. With a demonstration of a set up and then a Q&A afterwards there will be something for everyone from the beginner to the advanced hobbyist. Anyone attending will be eligible for our 10% Loyalty Card if they order any setup from us. This can then be used on all future purchases. A very Merry Christmas and a Happy New Year to all our customers. Thank you for all your support, we hope to see you in 2017. In the lead up to Christmas we have a great offer for you. 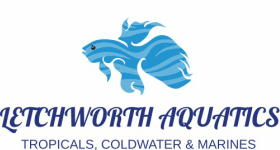 ​Buy any of our Aquariums and get a 10% Loyalty Card to spend on gravels, décor, ornaments, food and your fish. ​We also have GIFT VOUCHERS available. Making a great Christmas present. Can be made to any denomination. ​We have a Christmas raffle too. £2 a ticket to win a complete 55 litre Tropical Set Up. A huge thank you to everyone who has supported us in our opening few days. 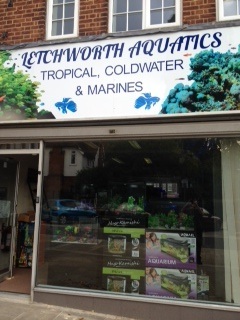 We have lots of tropical fish now in stock, some lovely fantails and coldwater plecos and some fantastic plants. ​For all Marine and reef keepers we have a great selection of LPS and soft corals, Inverts and of course fish. ​LIVE FOOD NOW IN STOCK!!! Bloodworm, Brineshrimp, Mysis, Copepods, River Shrimp and live Phytoplankton. Finishing touches tomorrow and then Saturday is opening day. A little heads up that Leys Avenue will be closed to vehicles this weekend due to there being a beer and food festival in Letchworth. There's plenty of other parking around the town though at The Wynd, Morrisons and the multi storey car. All a couple of minutes walk from the shop. The tanks are all in place. Stock coming in next week. We will have a number of deals for our open day. All tanks, equipment, foods, accessories and livestock at great prices.